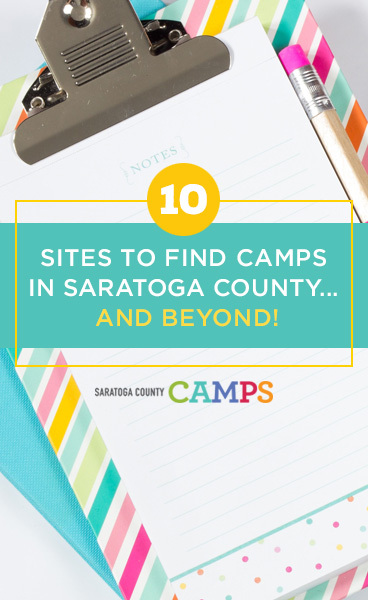 10 Sites to Find Camps in Saratoga County… and Beyond! Another local mom-in-the-know is Jenny O’Keefe. You might remember her as Mamatoga, but most recently she’s been working on MiniCity Saratoga and MiniCity Albany. She’s created an online Summer Camp Guide, PLUS she is organizing the perfect kick-off to summer: The Big Bubble Party! It’s June 22 from 3-5 pm in Congress Park. Hulafrog is a national network of community guides with local managing editors for each region. In this area, we have Hulafrog Albany-Troy, Hulafrog Ballston Spa-Schenectady, and Hulafrog Lake George-Saratoga. At each site, you’ll find a camp directory along with LOTS of other info on everything from local events to childcare. 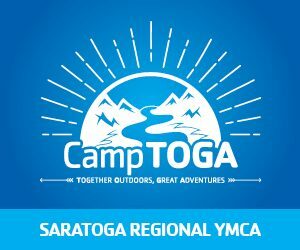 You’ve no doubt seen Saratoga Today’s numerous publications around town, but did you know that they have an online Summer Camp Guide? It’s not robust, but you might just spot a camp there you haven’t seen elsewhere. Once you’re at CliftonPark.com you can easily find camps by visiting their events calendar. Under “narrow your search by event type” in the sidebar, click on “kids, pets, and family”, then the “school break and summer camps” checkbox. Add any additional filters, like the location, and update your search. Like CliftonPark.com, Saratoga.com has a huge events calendar that’s easy to filter. Similar to HulaFrog, Kids Out and About is part of a national network with a local editor for each region or city. 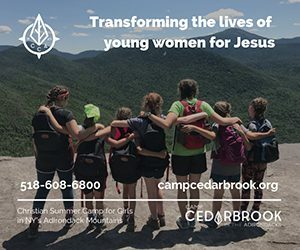 They have a pretty major Summer Camp Guide that you can filter by week or category. Just remember that they cover a large area so your results may include camps that are quite a distance from you. Known primarily for finding well-reviewed restaurants, Yelp is also a great way to find other services like camps. Just be sure to use the phrase “summer camp” when searching. 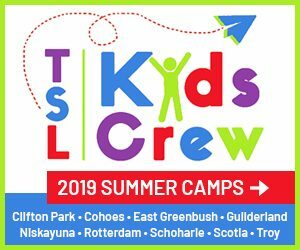 Most towns in our area have a parks and recreation department that organize a summer camp for local families. Here are a few in our area: Town of Milton, Town of Northumberland, Town of Greenfield, and the Town of Halfmoon. And last but not least, check your school’s website and Facebook page. Oftentimes, there are school-based camps that aren’t heavily advertised anyplace else. What’s your favorite way to find school break and summer camps in the area?